Welcome to the world of Duality δelta, the large-format analogue console designed for the modern studio environment. Installed in some of the world's most prestigious studios, Duality allows producers and engineers to harness the clear sonic advantages of SSL SuperAnalogueTM processing and the workflow benefits of advanced DAW integration. View here. This manual is designed to provide a comprehensive source of information for Duality δelta console users. View here. 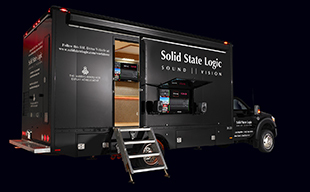 This manual will provide owners and installers of the SSL Duality δelta console with information in the following areas: Safety Information, Preparation Installation, Connection your DAW. View here. A3 drawings of the Duality δelta console. View here.